Last week was a busy week for the ROC nation! We held our annual National Organizing Committee retreat and made plans for very exciting things to come in the next year! We also had our national board meeting and an amazing fundraiser at COLORS of NY. See and download photos from the event here. Then, this past Friday , December 10th, marking International Human Rights Day the Excluded Worker Congress released it’s much anticipated report on sectors of our workforce that have been excluded from labor rights. ROC United is a proud member of the growing movement to unite sectors of our workforce to build power for workers in our society. 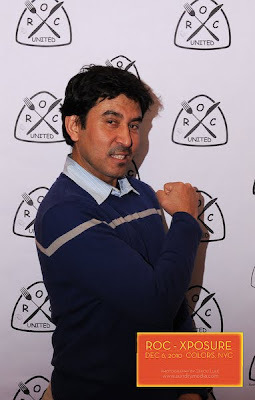 Check out Shailesh’s (ROC NY Member) profile here.